Well, it's Friday and I have another freebie for you. 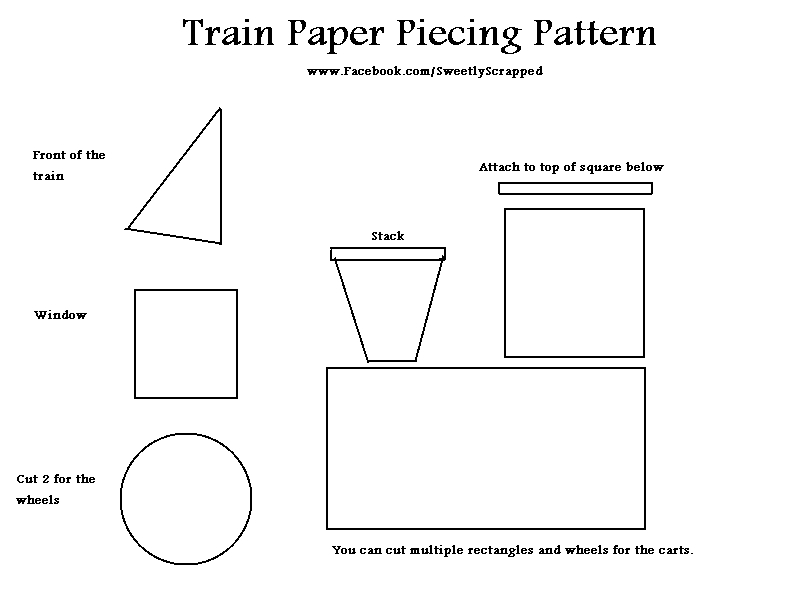 I have created a simple train paper piecing pattern. It's a great base and you will be able to add all your own wonderful details and personalization. On the door you can write a name or a date. Add some cotton to your page above the smoke stack for a wonderful 3 dimensional look. The bottom rectangle can be created to use multiple carts. 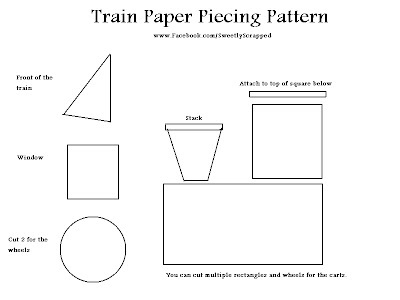 Pop them off the page and use them to create little pockets to stick tags into :) You can create an adorable two page layout with the carts going all the way along the bottom.